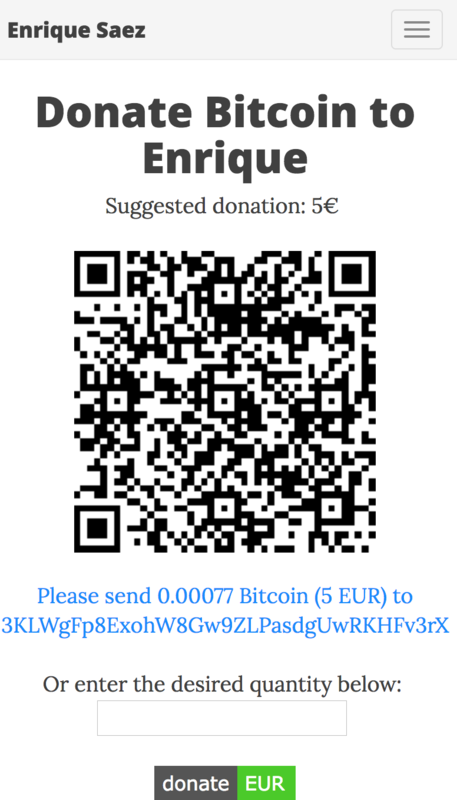 Donate Bitcoin is a simple yet clever project that creates a basic page to accept bitcoin donations through an URL and QR code linked to the user’s specified Bitcoin wallet. The most time consuming piece of work was related to figuring out that the original QR code generating library was not working properly on my browser due to the clashes between the library’s function and a div element’s identifier. For my own use case in my blog, I just made use of another library for generating the QR codes. However, I assumed that this was not acceptable for the original project and dig on the problem until I solved it. Taking into account that I had in mind just some of the use cases of the original project and there were almost no tests, I wanted to be cautious about not breaking any of the functionalities nor changing its original behavior. Unfortunately this was not the case, and the maintainer of the project realized about it and released some fixes   after merging my pull request. Although there is still room for improvement in the project, like adding tests and improving the code style I am happy that I contributed to improving the original project.